AmTech manufactures this motorcycle ring gear for a leading Motorcycle vehicle transmission manufacturer – featuring two wheel and three wheel drive systems. The first step of this motorcycle ring gear manufacturing process is hot forging. This raw forging is inspected for any defects and moved onto the machining phase. Several types of machining operations occur at this stage, followed by drilling. Next, the precision machined gears are heat treated to the customer requirements. 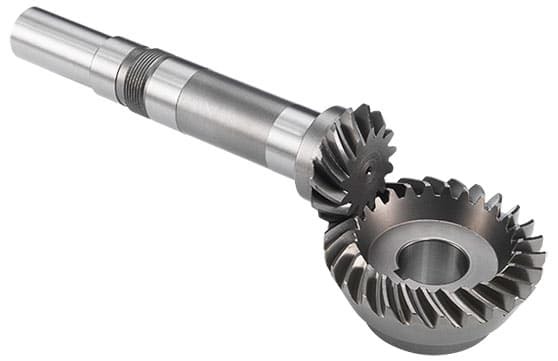 The most complex manufacturing process is the gear teeth hobbing, which requires an AGMA 8 finish. Learn more about AmTech’s ring gear manufacturing services for your OEM project.